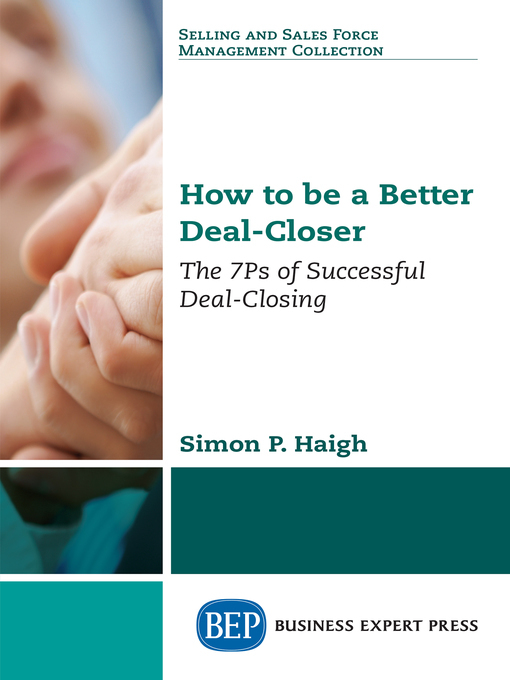 This book provides valuable and accessible insight into the key elements required to ensure successful deal-closing. Deals are pivotal to business growth and are being struck all the time. You won't succeed in business without striking deals. Deal-closing is not limited to CEOs. To varying degrees and at different times, we all strike deals in business. Every person or organization engages in deal-closing at some point. This book provides valuable and accessible insight into the key elements required to ensure successful deal-closing. It is written in an easy to read, no-nonsense style, and is easily accessible to those who are not proficient with deal closing. The chapters include real-life stories and insights from a wide spectrum of the author's connections and experiences.